Imagine a day out in the sun, where you and your family get to actually interact with the MOST beautiful and friendliest animals of the sea, the dolphins. On our Bahamas Dolphin Encounter, you will be able to actually touch, hug, and play with these creatures right in the water. 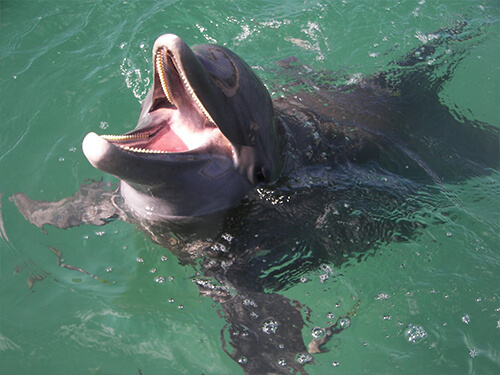 What’s best about the Freeport Dolphin Close Encounter, is that people of all ages are welcome to join! These easy and unforgettable dolphin programs allow you to interact with a couple members of our extensive dolphin family as you sit on a shallow water platform. You will be wearing a life vest, but no knowledge of swimming is necessary for this shallow water encounter. The dolphins will come right up to you, so you can feel their soft, smooth skin and they will present their amazing tricks and playful behavior right before your eyes! 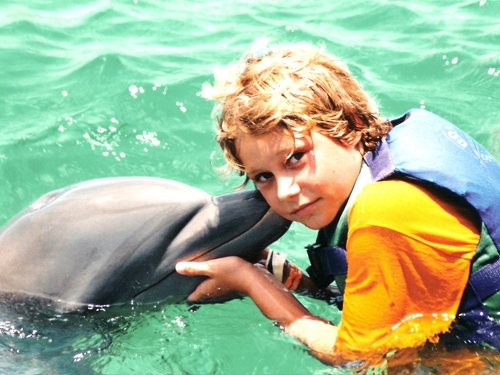 Part of our Dolphin Encounters is the education aspect. We make sure that all of our guests leave our dolphin center with newfound knowledge and love for the Bahamas bottlenose dolphins. Included in the two hour session is a presentation and discussion about the biology, habitats, and behavior of the dolphins. After that, you will be able to experience the beauty and grace of the creatures for yourself. Watch them swim around and impress you with their tricks. Then feel their unique silver skin, give them a dolphin hug, and maybe even learn how to cue them to do a trick. 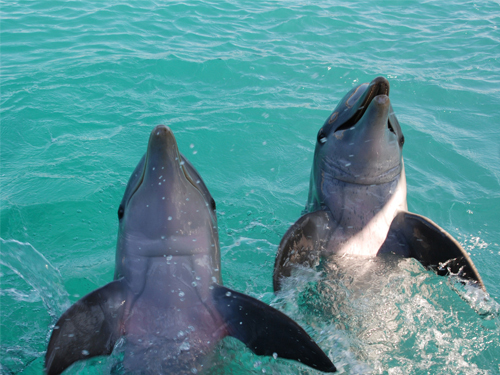 The Dolphin Encounter is one of the most unforgettable and cherished events in all of the Bahamas. This trip departs from the center of Freeport, which is the main city on the large Grand Bahama Island. If you and your group are vacationing in Freeport, do not miss your chance to get to know the amazing resident sea mammals, the dolphins! This tour is not for pregnant women. All persons looking to participate in this program, even as an observer, must purchase a full-price ticket. I have been to the Bahamas many times, but Freeport Dolphin Close Encounter is one of my favorite trips! It includes everything that everyone should do here. As a Bahamas veteran, I can say only the best about this experience!